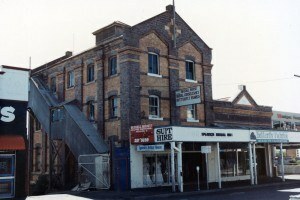 The Old Flour Mill at the ‘Top end of Town’ was built in 1901 to house the Ipswich Flour Milling Company Ltd. Previously this site had been home to a Grocer, Mr M. J. Real and a Fruiterer, Mr W. G. Hinton. 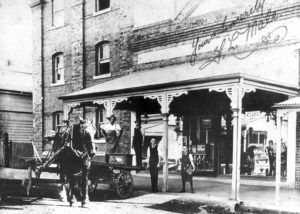 Mr Francis Kates, a parliamentarian purchased the land and demolished the buildings to make way for Queensland’s first flour mill. Well-known Ipswich architect, George Brockwell Gill designed the building which included three stories and a basement with a single storey section housed on its eastern side. This is believed to have contained the mill’s office. A large shed was attached behind. It was typical of Brockwell Gill’s designs with columns of dark brick and decorative ornamental in light brick. Contractors Worley and Whitehead built the building at a cost of 2200 pounds. In 1902 they began producing and advertising their flour brand ‘Snowcloud’. In 1905 it was purchased by new proprietors and became Wigfull and Blands, Ipswich Flour Mill who began producing the ‘Celebrated Heather Bell Flour’. 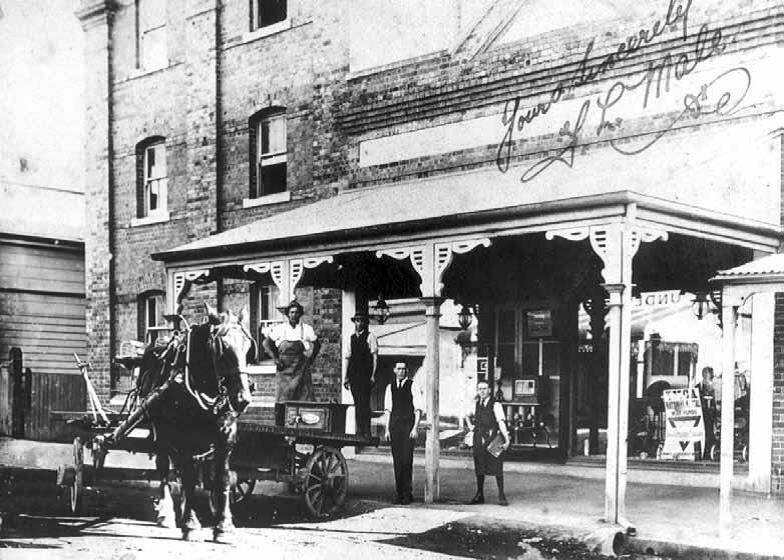 In 1910 Cribb & Foote purchased the building for 1800 pounds and made some changes to the building. This included installing a lift and adding an awning over the footpath of the single story building where they housed their new stove showroom. 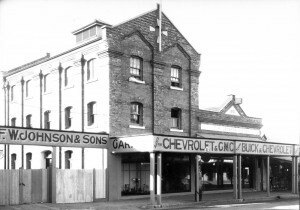 In 1926 the building changed hands to the Johnson family and the ground floor housed Johnson’s Garage and a motor showroom. Later in 1935, the top floor was rented out to radio station 4IP who set up business until approximately 1963. 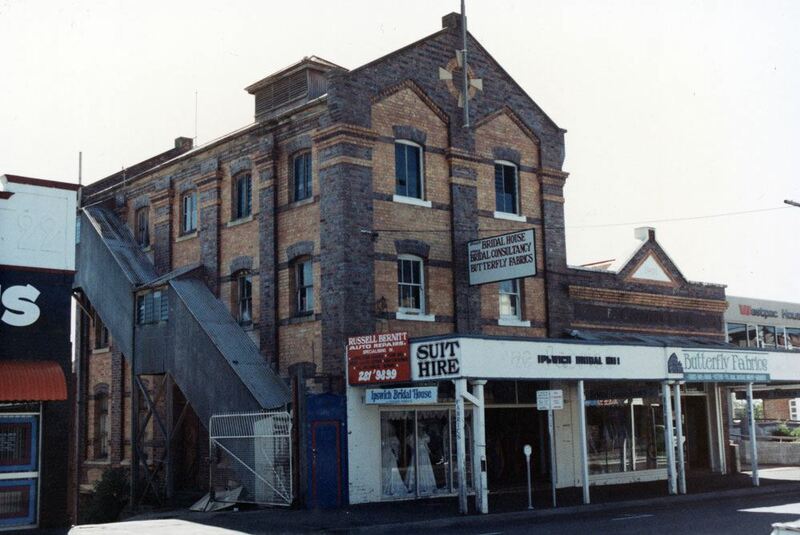 In 1984 the building was purchased by Bert and Bev De Wit and major refurbishments were made in 1993 with alterations and extensions made to the Heritage listed building interior giving it an Australiana Shopping Arcade and Streetscape appearance. Originally a large shed, the make-over made sure to include and restore some original features from the initial building: corrugated iron walls, wooden floors, exposed beams, leadlight windows, original wooden sliding doors and wooden shutters designed to allow the flour to air. The remodelling must have awoken a ghost as the owners tell of a presence felt on the mezzanine level where the restaurant is located. The story goes that a young chap by the name of Hubert worked in the mill. He had been at home very sick with scarlet fever. When he felt better he returned to work, where he began to feel unwell again with a fever. After letting his boss know, he was told to work a bit harder and sweat it out. Unfortunately Hubert collapsed and died on the bottom floor of the mill. There have been a number of sightings of Hubert over the years. The top floor which housed 4IP radio station was also remodelled into a two bedroom flat. 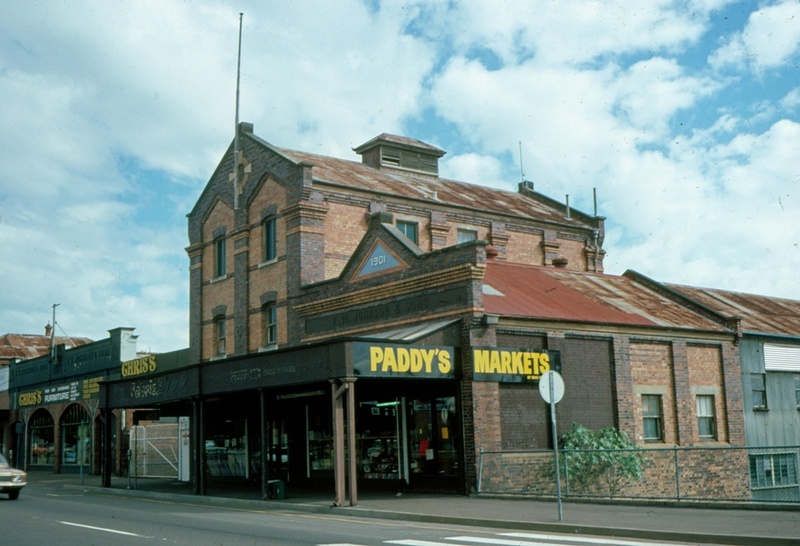 The Old Flour Mill building has seen a change of owners and a lot of business since the year 2000, being home to Paddy’s Market, a Bridal Shop, a café, barbers, and art and gift shops to name a few. 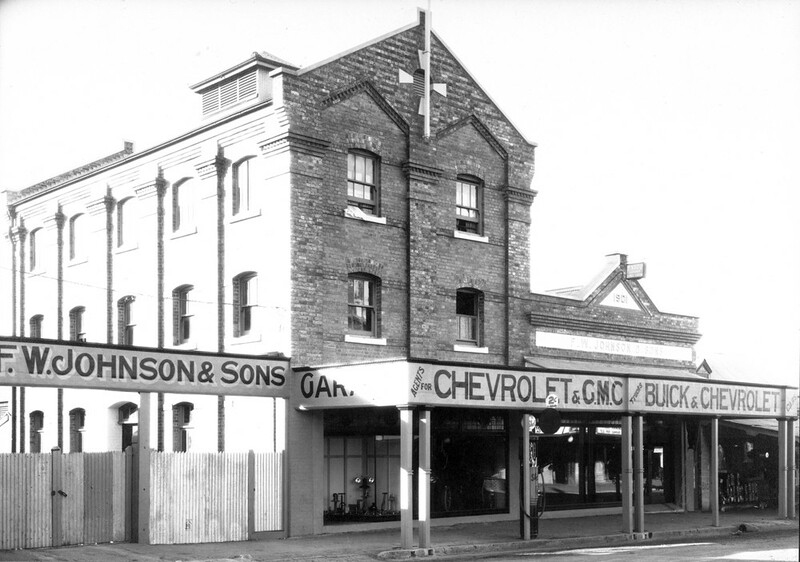 Today, the building still casts a distinctively strong presence at the Top end of Town. It is now home to a restaurant plus a number of boutique style specialty shops……and possibly one ghost!